We end our 50th Anniversary summer on a high note with the last of our student performances, in-studio showcases, and Art Open Studios. An encore showing of “Secret Garden” along with performances of “Little Women” and “Strawberry Freckleface” rounded out the theater season. The second Quidditch Tournament of the season took flight, and our annual end-of-year Junior Parade and Senior Carnival was a swirl of color, music, friendship, and fun. Ballet Next closed out our Festival programming and, off campus, Usdan students performed with International Contemporary Ensemble as part of Mostly Mozart at Lincoln Center. At our closing Assembly we honored the “Lifers,” campers who have been here 8 years or more and staff who have hit 10 years or more, and cheered as the 12th graders joined our Alumni ranks. Here are some of the sights and sounds from around camp this week and this summer. 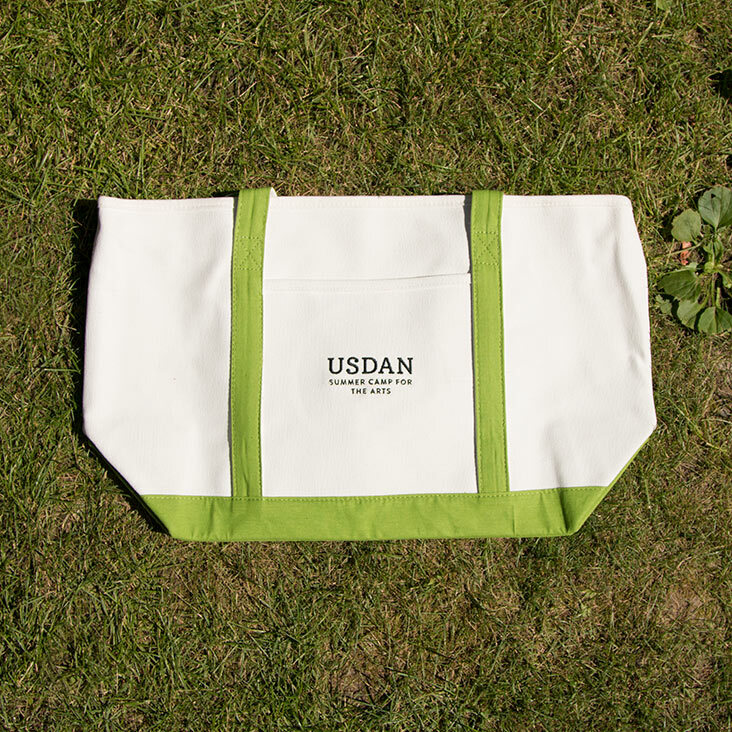 When you think of Usdan, what color springs to mind? Blue – like the swimming pools? Green – like the wooded campus and grounds that surround us? Or yellow – like the busses that transport kids from around Long Island and the New York City area to the yellow gates of the camp? 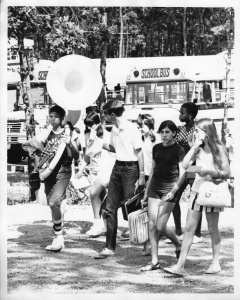 Since the beginning, those air-conditioned capsules were a place for students to cultivate excitement, foster friendships and compare notes on the day’s activities. Today, the bus fleet that brings students to and fro numbers 140, and makes more than 30,000 stops every summer. So, as we wave goodbye to the busses for a final time this season, we’d like to take a moment to thank everyone who had a hand in the coordination from the special bus arrival and departure dance. Safe travels to all – and we’ll see you next year! 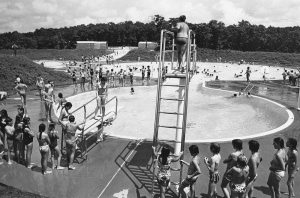 The good news: There are still three weeks left til Labor Day. 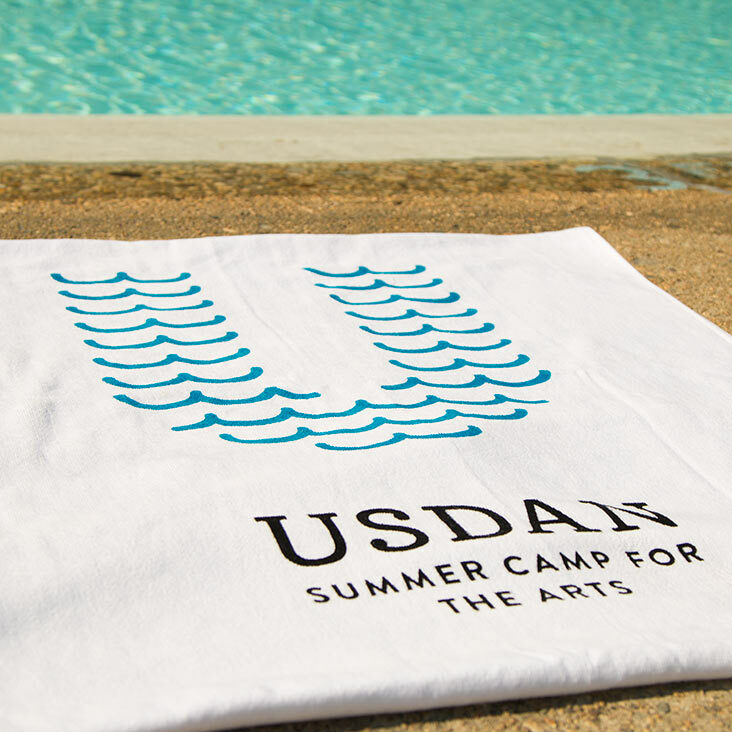 Even though camp is over, you can still take a little Usdan with U to the beach and beyond with our special towel. Yes – it’s the close of the 2018 season, but it isn’t the end of the connections made. We have a few Fall and Winter events in the works, so watch out for the next newsletter and follow us social media to stay in the know. Hope to see U soon! Camp has only been over for a couple hours, but we already miss seeing your children traveling along our paths, but they have left a bit of themselves behind. The memories we’ll keep, but their water bottles, towels, lunch boxes, and art we think you should have back. 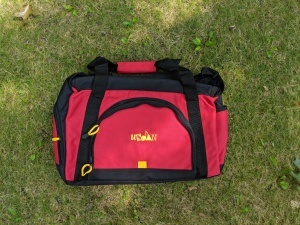 We will be in the office from 9am to 4pm next week August 13 – 17 for you to come by to pick up anything left behind. Please call first. The office will be closed from August 20 through September 3rd, but will be back on September 4th. This week we’d like to know how your summer was. Tell us anything you think we should know.